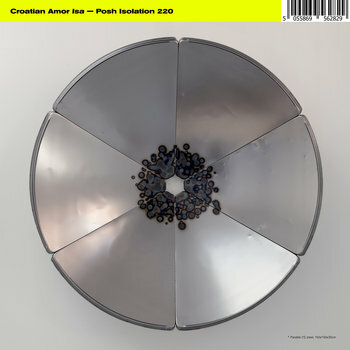 Brainwashed - Croatian Amor, "Isa"
In 2019 Croatian Amor returns with a new album, Isa. Copenhagen's Loke Rahbek works in a wide variety of forms. His prolific rate of activity is best viewed through his and Christian Stadgaard's Posh Isolation label. Of Rahbek's many projects, his most eloquent and gentle is Croatian Amor. 2017’s single "Finding People" bloomed from Croatian Amor's previous album, the widely acclaimed Love Means Taking Action. These melancholic transmissions presented a kind of alien pop. For Isa, he has drawn on an impressive list of guests to realize a nauseating narrative of virtual communication and eschatological programming. The album's title invokes a messianic entity, and though it's hard to tell what's imagined or remembered anymore, the play that Croatian Amor is known for feels far more vivid today. "Enhance photo to reveal a picture of Bird caught mid-flight; enhance again, the bird has a human face screaming." Never pessimistic, Croatian Amor circles themes of tragedy and comfort to animate a sense of hope. His accomplices pluck details from his graphic scenes like a searchlight drifting over a starlit surface. Alto Aria, Soho Rezanejad, and Jonnine Standish of HTRK, each contribute vocals across the album, cloaked and kerned on Croatian Amor's inimitable stage. "Eden 1.1" and its accompaniment "Eden 1.2" feature the voices of Frederikke Hoffmeier and Yves Tumor, respectively. These are some of album's most delicate pieces, and where one may find respite from the helix of damaged rhythms that eddy across 'Isa'. Familiar faces from Copenhagen are solicited throughout, and perhaps the album's most endearing quality is the space for volatility that all of the collaboration has invited. All the signals and timelines lead everywhere and back. Maybe it's only the myths that get us?